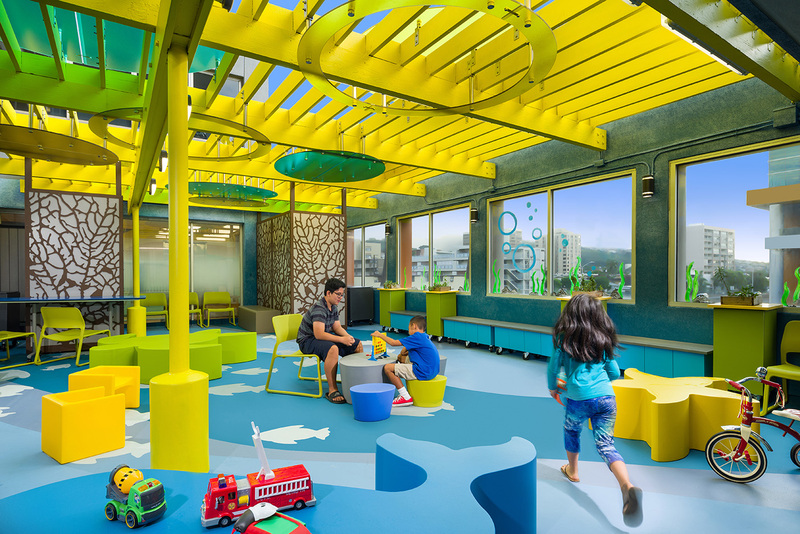 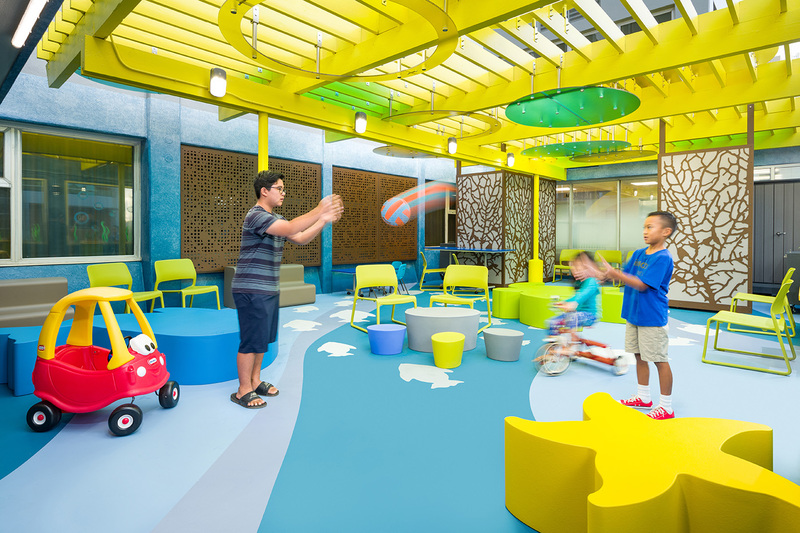 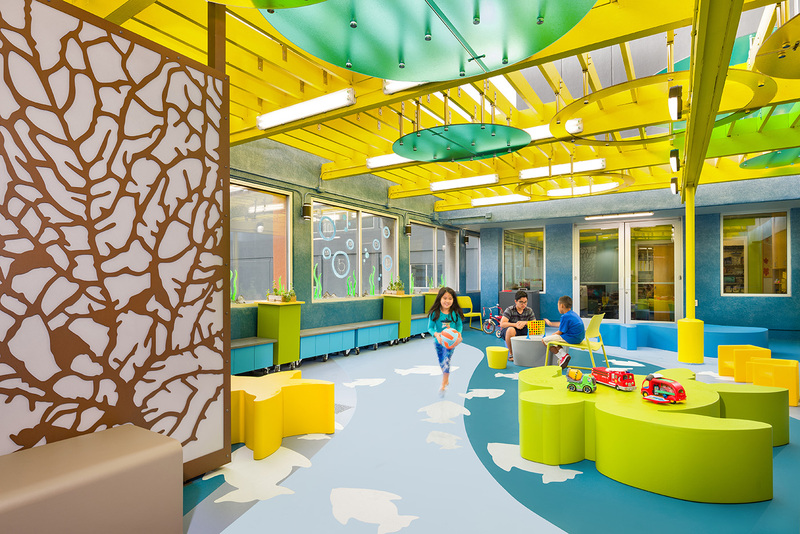 Lionakis recently provided interior design services for this play area located in Hawaii Pacific Health’s Kapi’olani Medical Center for Women & Children. 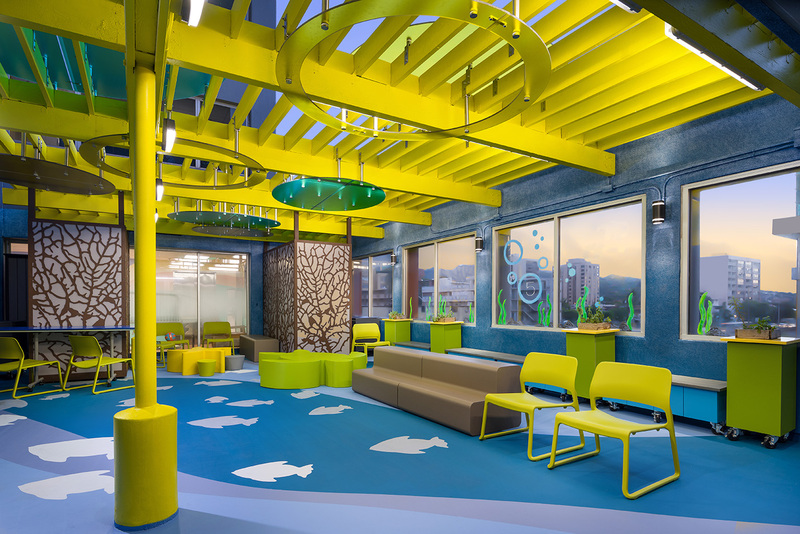 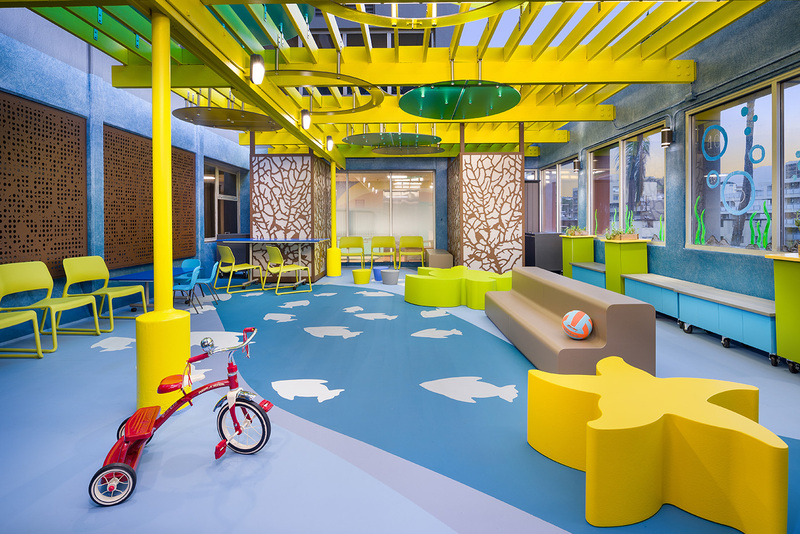 This project, occupying the space between two pediatric units, includes a newly renovated, vibrant outside play area as well as an indoor space and has become the new, most popular location for children to socialize and have fun before or after an appointment. 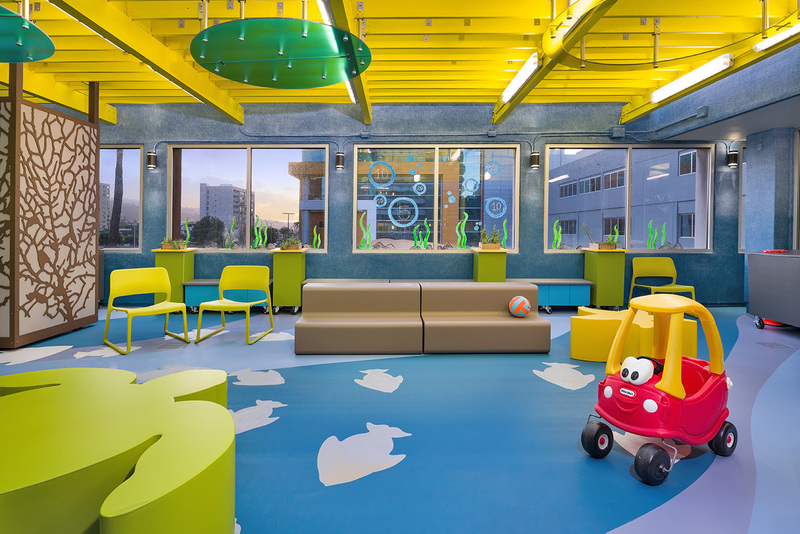 The surrounding community helped to support the space by providing new furniture, flooring and paint, as well as toys that the children can play with.